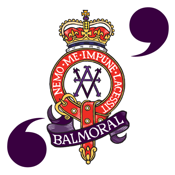 Explore Balmoral Estate with this exciting audiotour. Set amongst the magnificent scenery of Royal Deeside, in the shadows of Lochnagar is the Balmoral Estate. Purchased by Queen Victoria in 1848, the Estate has been the Scottish Home of the British Royal Family ever since. The Estate covers about 20,000 hectares (just over 50,000 acres) acres of heather clad hills, ancient Caledonian woodland, policies and of course the beautiful River Dee is nearby. Over the past 150 years careful stewardship by the owners, The Royal Family, has preserved the wildlife, scenery and architecture which is available for all generations to enjoy.